The SJGC Ladies' Association has approximately 50 members and has an active presence year round. 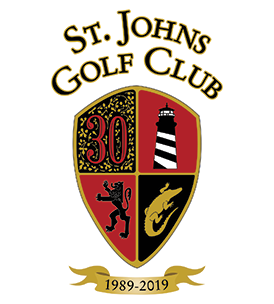 They are a staple every Thursday morning and host numerous events throughout the year including individual and team events, as well as member-guest events with other clubs throughout North East Florida. 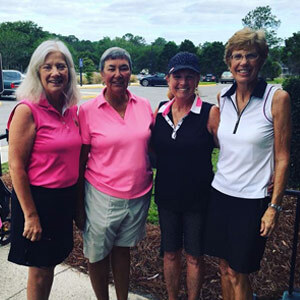 The Ladies' Association plays every Tuesday and Thursday with 18-hole tee times beginning at 8:28. Be there by 8:00 for pairings and registrations. To join, fill out a membership application, or inquire at the pro shop desk. For more info, please contact Pat McHale 401.573.9999 and Deborah Geanuleas 703.362.1331. Visit the Ladies' Association website for sign-ups, as well as the latest news and events. Congratulations Deborah Geanuleas, 2018 Ladies Association of St. Johns Golf Club Championship winner. Flight low net winners: Linda Heinke, Jane Veling, and Janis Croft. Well done, Ladies!